When you have finally begun to manufacture your invention you need to be sure that it is not going to be exposed to unauthorised copying or manufacture without you or your company’s permission: this is where patents come in. A patent is a legally binding agreement that says no one other than you or your company shall manufacture your invention without first entering into an agreement with you and also paying for a licence to do so. In essence it is much the same as say buying a compact disc or DVD, you do so on the understanding that you will not copy, redistribute or show to the public without first seeking permission and paying for a licence to do so. A patent is your safeguard against the theft of your invention and is also your way to ensure that your invention makes money. 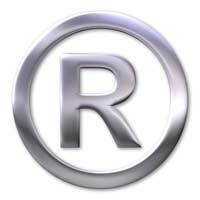 What is a Patent Mark? A patent mark is simply a means of displaying on your invention or its packaging information relating to the fact your invention has been patented in the correct manner and that any infringement of this patent is an unlawful act against the patent’s owner. A patent mark can also be used in the same way as a trademark and is used to show that an invention’s name has been secured against misuse or unlawful copying. If you have completed work on your invention and are at the manufacturing stage ideally you should have your patent in place before beginning to go into production. However in some instances there may be reasons as to why this cannot be the case and you are obliged – by law – to begin production of your invention without having a patent in place. To this end the product is manufactured ‘patent pending’ which means that you can manufacture by law but if the patent is refused then you must stop production immediately. You may well have seen the words ‘patent pending’ on an item you have purchased and wondered what it meant; a ‘patent pending’ has no patent allocated to it and therefore it has not been proven whether or not the product is wholly individual or indeed a subtle copy of an existing product. In most instances ‘patent pending’ simply means that the inventor or company are waiting for the licence on the patent to be granted and this is simply an issue of time but where possible it is best to wait until the licence has been granted before beginning production so that there can be no mistake as to the nature of the patent. Until such times as a patent licence has been granted an individual or company has the right to petition the patent if they feel that your invention breaches an already existing patent for a product of their own design. Again it is important to remember that you cannot use the phrase ‘Patent Pending’ until after you have made your application for a patent and it has been approved pending the issue of a licence. If you use this phrase prior to filing an application or likewise without filing an application at all then you are in direct contravention of the UK Patent and Copyright laws and could be liable to a large fine or even a custodial sentence.